Escape the heat in the pines! This cozy cabin offer recently replaced/upgraded carpet w/tile in kitchen, bathrooms and fireplace accent wall in living room. Spacious master bedroom suite with seating area and gas fireplace. Laundry located in third bedroom but seller willing to convert back to bedroom. 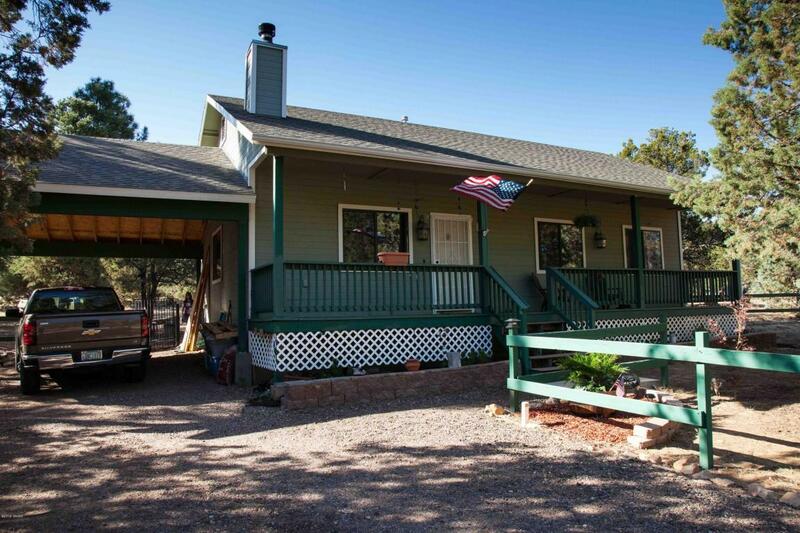 Expansive porch on the front and back of property great for entertaining and relaxing. Fenced yard for pets and children to play. And so much more. Come relax and enjoy!